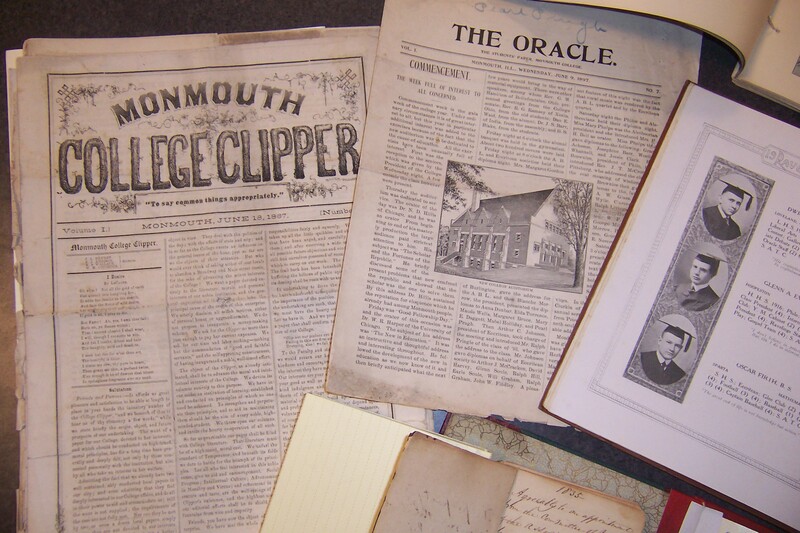 The Monmouth College Archive houses and preserves the documents and artifacts of MC's past. This repository of historical materials manifests the founding and growth of the institution over its 150+ years. The Archives are arranged and described for a multitude of institutional and public uses by researchers, alumni, classrooms and the community. The papers of professors, administrators, departments, student groups, and alumni are all part of the rich collections of the Archives. Materials include theater programs and posters, sports clippings, admissions brochures, old Red Books, Zoo Books, College literary publications, student newspapers, Antique fraternity and sorority dance cards and paddles, old pipers uniforms, trophies, plaques, oral interviews, student scrapbooks, and a myriad of photographs...just some of the fascinating treasures of MC history that comprise these collections!